(Bloomberg) -- The Pentagon’s inspector general plans to audit how well the Navy is overseeing development of the propulsion and steering system for its new $128 billion Columbia class of nuclear-armed submarines. 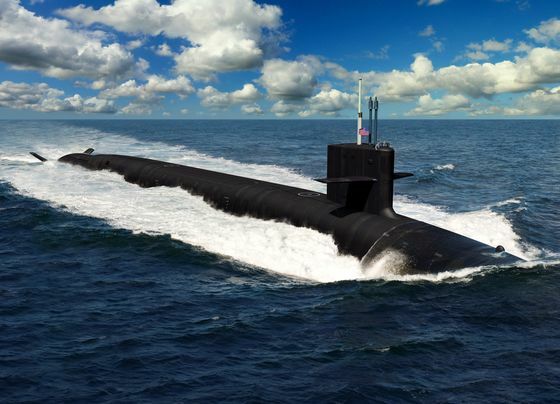 An audit this early in the Navy’s top-priority program -- at least 17 months before construction is scheduled to start on the first of 12 vessels -- signals concern about the potential risks in technology for the sub, which is still mostly in its design phase. The review that’s likely to begin by June will “determine whether the Navy is managing the development” of the system to “ensure that it meets performance requirements without cost increases or schedule overruns,” the watchdog office said in its fiscal 2019 audit plan. The Navy disclosed last year, for example, that Electric Boat identified weld defects in missile tubes from one of three tube suppliers. The review concerns the propulsor, which drives a submarine through the water, and the coordinated stern, which allows it to maneuver. The submarines are being built by General Dynamics Corp.’s Electric Boat division. “We look forward to working with the DoD IG on any such effort,” said William Couch, a spokesman for the Naval Sea Systems Command. The audit is likely to be complete next year as Congress considers the fiscal 2021 defense budget. The Navy is expected to seek an increase in funds to start construction of the first vessel in October 2020.